Our goal is to get your financial house in order - and help ensure it remains that way. 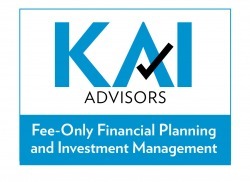 We do this in an objective manner, as a fiduciary to you, on a fully disclosed, fee-only basis. Princeton Jct., NJ and serve families and small businesses nationwide. We listen to you and, based on your goals, we will create a clear, implementable, and personalized financial plan to get your financial house in order and help ensure it remains that way. We listen to you and, based on your goals, preferences and profile, will select, monitor, and rebalance your investments, targeting a return that allows you to achieve your goals, while taking into consideration your tolerance for risk. Conflict-free advice in your best interest. No payments, referral fees, commissions from product or service providers. Low fees and less expensive products mean more savings for you. We help you work towards achieving financial security in a way that provides confidence. By knowing how much you should save and how much you have available to spend, you are able to work towards achieving financial security.